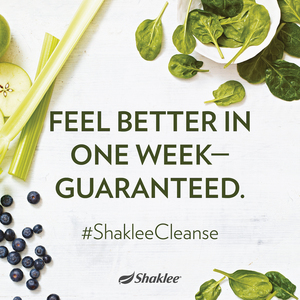 Join us every Monday to the start of your Shaklee 7 Day Cleanse. Our first group of the new year, started on January 7. We had fabulous results! Everybody got support from the Shaklee facebook page; sharing ideas, inspiration, and recipes with Dr Jamie answering questions. Our group had 13 people, including us, who experienced an overall sense of wellbeing...better energy and focus...great sleep, healthy digestion and a positive attitude. A side benefit of this cleanse is shedding a few pounds. Our group ranged from 4.5 pounds to 10 pounds - Wow! Jumpstart your new year's resolution to better health and losing some weight with our 7 day Shaklee Cleanse. Call us for more details. A new cleanse group starts every Monday. Besides the Shaklee facebook group, we help you through every step of the way. "My whole family did it," explains Carolyn Moss, "We made it a competition to add a little fun and encouragement. But we all won because we feel fantastic!" Are you ready to start? The buddy system works great, so ask a friend to do the 7 day cleanse with you! Visit Carolyn's Shaklee Site here.